The Corgi breed is quickly becoming highly popular, thanks to the internet. But, simply being adorable doesn’t mean they are the right match for everyone. Keep reading to learn if the Corgi breed would be a good dog for you. Corgis are very well known for their happy and loving nature, making them perfect for families. They thrive on attention and want to be involved in everything you do. Originally bred for herding cattle, Corgis still have the working dog spirit of their ancestors. Due to their high spirits, Corgis are often independent and strong-willed. Some corgis can even seem bossy unless they have proper training. There are two types of corgis: the Cardigan Welsh Corgi and the Pembroke Welsh Corgi. According to Cuteness.com, Cardigan Welsh Corgis date back as far as 1200 B.C. In Cardiganshire, Wales, farmers used Corgis to herd and drive cattle. 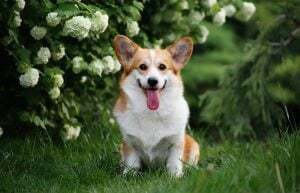 Pembroke Welsh Corgis originated in France in 1107. The Pembroke Welsh Corgi breed has a heavier build and smaller ears than the Cardigan Welsh Corgi. Both breeds of Corgi have similar good natures and lovable personalities! Corgis need training. They are intelligent dogs and very capable of learning. But they have fiercely independent personalities, which can make training frustrating. Like most dogs, the Corgi breed responds positively to treats and praise. It’s most important to be consistent so that your Corgi won’t think bad behaviors are acceptable. Corgis love to learn, so don’t stop at basic obedience commands. Constructive energy outlets, such as training, will keep them from from becoming bored and turning to destructive behaviors. Like Queen Elizabeth’s beloved pets, most Corgis will live long and healthy lives. However, the Corgi breed does have their own set of health issues. Corgis are prone to developing hip dysplasia, progressive retinal atrophy (PRA), and degenerative myelopathy. Responsible corgi owners can prevent these problems by managing diet and promoting exercise. As your Corgi ages, limit activities like jumping from furniture and stairs. Grooming your Corgi is an extremely easy process. Corgis have a naturally short, fluffy coat. Frequent washings aren’t necessary unless they get dirty outdoors. However, the Corgi breed is known for its excessive shedding. They typically shed their undercoat once a year, usually in the spring. 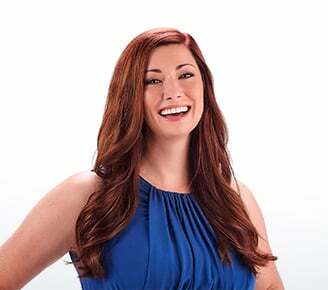 Grooming with a pin brush will help cut down on the amount of hair floating around your home. Interested in adopting a dog or cat? 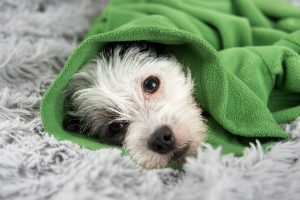 Visit getyourpet.com to start searching pets for adoption near you. To make sure your feline friend always has access to the best health care possible, medical insurance for cats is the way to make sure all unexpected illnesses and accidents are covered. While it may be said cats have nine lives, as their loving caretakers, we want to make sure each of their lives are as happy and healthy as possible. As a responsible pet owner, this means annual checkups with a trusted veterinarian, an optimal diet, regular grooming, lots of enrichment and exercise to keep them cunning and stealth like kittens. Learn more about the importance of medical insurance for cats and why you need it for your feline friends. So, what is medical insurance for cats? 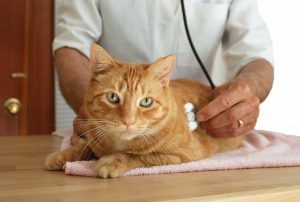 When your cat or kitten gets sick or injured, the last thing you want to think about is the veterinary bill. 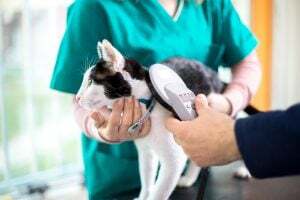 Essentially, the best medical insurance for cats helps protect you from that financial burden and makes sure you can focus on getting the best care possible. Whether your cat encounters a minor incident, like a snagged claw or stumble down the cat tree, eats something they shouldn’t or develops a serious medical condition like kidney disease or cancer, Trupanion is there to cover 90% of all eligible healthcare expenses. What does medical insurance for cats cover? 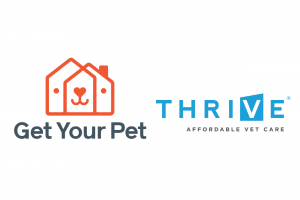 Every pet insurance company is different, but here is an example of what is covered through Trupanion medical insurance for pets. There is a reason people are cautionary about curiosity and cats. Trupanion offers medical insurance for cats from birth, to make sure your feline family member is covered at the earliest possible time. That way, if any issues that arise early they will be covered for the lifetime of your pet. Essentially, starting young will ensure your pet gets the most possible support when illness or injuries arise. Certainly, few things are as dangerous or as stealth as a curious kitten. Fortunately, it isn’t too late to insure your mature cat. If you have an older kitty or are adopting, medical insurance for cats is still an option for you. Pet insurance is there to give you peace of mind, that no matter what, your cat will always have access to the best medical care available. The only thing that can make a beautiful day outside even more fun is sharing it with a furry friend. While most dogs will happily tag along on any outing, certain breeds make particularly adventurous partners! These playful pups are the best dog breeds for people with an active lifestyle. These dogs are perfect for those of us with an active lifestyle! Aussies are incredibly intelligent, playful, and active dogs that require tons of exercise. 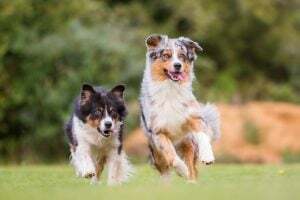 As a herding dog, Australian Shepherds perform tasks such as tending to livestock, protecting children, and competing especially well. Whether you’re a farmer, caretaker, or a cowboy at heart, the Aussie will make the perfect addition to your home. Read more about Australian Shepherds here. Huskies aren’t just sled dogs. They’re also awesome family pets! With their naturally friendly personalities, Siberian Huskies get along with just about any living thing. These dogs are also perfect for hiking and camping trips in chilly weather conditions. And, according to the American Kennel Club, Huskies lack a strong doggy smell. Overall, their beautiful coats, loving personalities, and sporty nature make Huskies an ideal breed for people with an active lifestyle. What the Russell Terrier lacks in size they make up for in endless energy. These little dogs need room to run, plenty of walks, and lots of play time. Your Russell Terrier will always happily accompany you on walks and bike rides. Furthermore, this breed makes the perfect playmate for restless children. If you’re always on the go, this may be the best breed for you. Border Collies are one of the best dog breeds for people with an active lifestyle! Not only are they great with kids and brilliant, they also love playing sports. Your Border Collie will never turn down a game of fetch or Frisbee. They’re always up for a challenge. If you keep them mentally and physically stimulated, Border Collies prove to be some of the best canine companions! The Lab, America’s number one breed, is a fantastic friend for an adventure seeker. This dog is athletic, loves swimming, and has a great temperament. In addition to being incredible athletes, Labs are great with those who are handicapped. This dog charms everyone they meet and is a great breed for people with an active lifestyle. Taking the perfect pet picture is part of putting their best paw forward. A great photograph of your pet will increase the number of potential adopters, which, in turn, betters their chance of adoption. To help you, we are listing some of our best tips for snapping the perfect picture. Making your photo session fun will produce more winning pictures. For example, try taking shots of your pet playing with their favorite toy, snuggling on the couch, or running outside. These shots will perfectly capture their personality. You’ll be able to take the perfect pet picture while they have a great time! Lighting is your best friend for taking the perfect picture of your pet. If your pet has dark fur, backlighting will transform them into a shapeless blob. Instead, try aiming the lighting either in front of your pet or to the side of them. For lighter colored pets, too much light will make your photos look washed out. As a result, your pet will be hard to see. So, always use natural light, if possible. Flash will certainly cause red-eyes in pictures, and it runs the risk of startling your pet! Pets love to wiggle around, which makes taking the perfect picture a difficult task. Avoid shaking the camera by holding your breath while you take the photo. Additionally, try resting your elbows on a stable surface such as a table or a fence post. If you’re taking a picture of your pet while they are running, follow them with your camera or choose burst mode. This helps to create a blurred background while keeping your pet the focus of the shot! Changing your perspective can help you capture the perfect pet picture. Try using distractions like treats, whistles, and squeaky toys. You will be able to get great detail in your picture and will keep their attention focused on you. Meeting your pet on their level will let you capture adorable pictures of their face up close and personal! The post-processing of photos can make a huge difference in your pet’s profile. Adjusting brightness and contrast can make a picture look more professional without requiring much work. However, make sure you aren’t going overboard. While filters can look cute and fun, they can detract from your adorable pet. If you need some inspiration to get you started, check out Tula the Dog Photographer’s work! She is well known for capturing amazing pictures from a dog’s perspective. 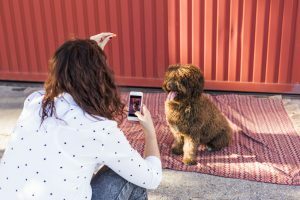 Want more tips and tricks for taking the perfect picture of your pet? Try reading Top 10 Tips for Getting Your Pet Camera-Ready! Working toward understanding your pet and communicating with them will help you learn how to really shower your pet with love! Consider body language, sounds, and behavior to show your valentine all the ways you love them. Your pet will appreciate your understanding, and will be sure to reward you with tail wagging or purrs, and cuddles! Nope, you’re not crazy for talking to your fur-baby in a high-pitched voice! In fact, recent studies have proven that dogs can understand what we say and how we say it. Similarly, cats respond to intonation. So go ahead and tell your dog that he’s a “good boy,” and let your cat know that she’s “just the sweetest.” After all, it’s true! They say that the quickest way to the heart is through the stomach – and animals are no exception! 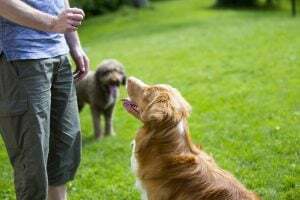 Show your pet you love them by purchasing your pet some yummy new dog biscuits, or get even more adventurous by preparing a homemade, pet-friendly cake. There are plenty of creative online recipes to try– but make sure that they are safe for your furry friend! A great way to show your pet you love them is to exercise their minds. Animals need mental stimulation, and they may go for the throw pillows if they get too bored! So, teach your dog a new trick, or buy your cat a puzzling new toy. Your pets will love strengthening their minds, and you’ll love the happiness it brings them! Some pets require loads of attention, while others seek alone time. However, most pets are happy just to be by your side. Show your pet how much they mean to you by taking a break from your phone and spending quality time together. This can be in the form of a long walk, extended play time, or cuddling together on the couch to binge-watch your favorite TV show. Your pet will appreciate your undivided attention! Finally, show your pet you love them through physical touch! Cuddling with pets has health benefits for both animals and humans. For example, petting your dog or cat releases good hormones, reduces anxiety and can be very relaxing for both of you. 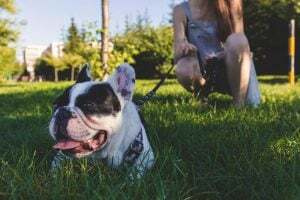 However, it is essential to keep in mind that animals can react negatively to certain kinds of touch, such as rubbing around the face or belly. 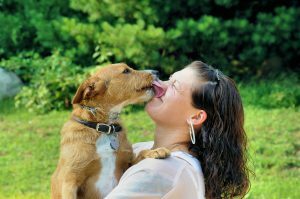 Find a safe way to show your pet some physical affection that you’ll both enjoy! It’s a new year, packed with new adventures for you and your pet! Whether you’re driving cross-country or flying to a warmer destination, make sure you’re prepared for the journey with these pet travel safety tips. Before leaving for a big trip, make sure you prepare a travel kit for your furry friend. Essentials include food, water, medication, doggy bags, and important documents. 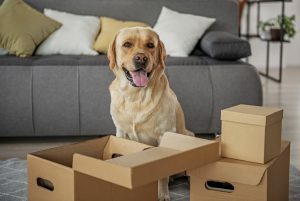 Packing a few toys and a favorite blanket will provide a sense of security, and may ease some of your pet’s travel anxieties. Make sure to pack a leash, as well, to keep your pet secure as you navigate through new and potentially stressful environments. This pet travel safety tip is highly important. According to the Humane Society, it doesn’t have to be super hot outside to be dangerously hot inside the car. And rolling down the windows one or two inches has very little effect on bringing down the inside temperature. Pets are also susceptible to extremely cold weather — especially those who are old, thin, and frail. Check out these winter safety tips for more information on keeping your pet safe in cold temperatures. When traveling by car, keep your pet secure. Too many pets try to sit on their owner’s lap while driving, so make sure your furry friend has a comfortable carrier or crate to ride in, or consider using a safety belt or harness. Another pet travel safety tip: keep the windows up. Lots of dogs like to stick their heads out the window, but this puts them at risk of being struck by debris. Schedule a trip to the vet’s office before flying with your pet. Most major airlines require a health certificate approved within ten days before your travel date. Because appointments can be tough to fit in last-minute, give yourself plenty of time to schedule one beforehand. Also, talk to your vet about anxiety and any changes that you may make to your pet’s eating and sleeping schedule before departure. Always look up your airline’s pet policies before scheduling a trip with your furry friend. Some airlines restrict certain dog breeds, and others do not allow pets younger than eight weeks old. 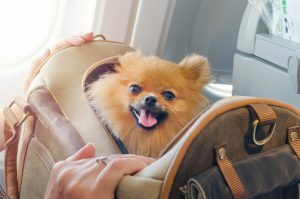 Airline pet policies offer additional pet travel safety tips to ensure that you and your pet have an easy, safe flight.